So, I’ve been meaning to do a news post for a while, and I’m finally getting around to it. And by news, I mean “things that would’ve been news if I’d posted about it at the time”. This post will be totally random both in terms of chronology and topic, and if we’re buddies and I’ve missed some awesome thing you’ve done then I am sorry. It’s nothing personal, I’m just disorganized at the moment. Now let’s get to it! Z. R. Southcombe, who is perpetually inspirational, has added one more string to her lyre (as we say in Sweden, which is a lot better than the English bow-version if you ask me since bows only use one string at the time. But I digress). She now produces a zine called (wo)manpower which you can buy from her Etsy shop along with some lovely coloring pages. She was also on Drae Box’s podcast the other week, the same podcast that I was on recently. So check that out! Next up in the row of awesome is A. C. Buchanan. They recently won second place in the Au Contraire 2016 short story contest, and the third issue of their fantastic magazine Capricious recently came out. It continues to be a high-quality publication and you should totally pick a subscription RIGHT NOW! I have! It’s only $8 per year which is, y’know, practically nothing. Go! Buy! Speaking of A. C. Buchanan, they and the lovely and amazing J. C. Hart (and possibly some other lovely people who I don’t know) will be organizing the 38th National New Zealand Science Fiction and Fantasy Convention in 2017, also known as Lexicon. Considering who’s organizing it I am convinced it will be super cool, and what more is… I’ll be there! New Zealand 2017, baby! I’ve been wanting to go there for ages, and with how many writer friends I know over there nowadays I’ve been more and more eager to go. I’ve just started saving up for it (1/10th of the plane ticket save, wooh!) but I don’t think it’ll be a problem. I’ll be there for about a month, not sure what I’ll be doing apart from going to Lexicon but I’m sure it’ll be brill! Isn’t he beautiful? Ask is Jessica’s first own doll! I can’t even wrap my head around the fact that she’s made him entirely by herself. If you like dolls and you like what you see above, consider pre-ordering your very own ask today! The preorder ends on Monday because I’m a schmuck who should’ve posted this last week. Unfortunately Ask is a bit big for my own collection, so I will be waiting for her to sculpt a tiny doll one day. That’s all I’ve got tonight. And man, it just gives me the warm fuzzies to be surrounded (virtually or actually) by all these wonderful, creative people! 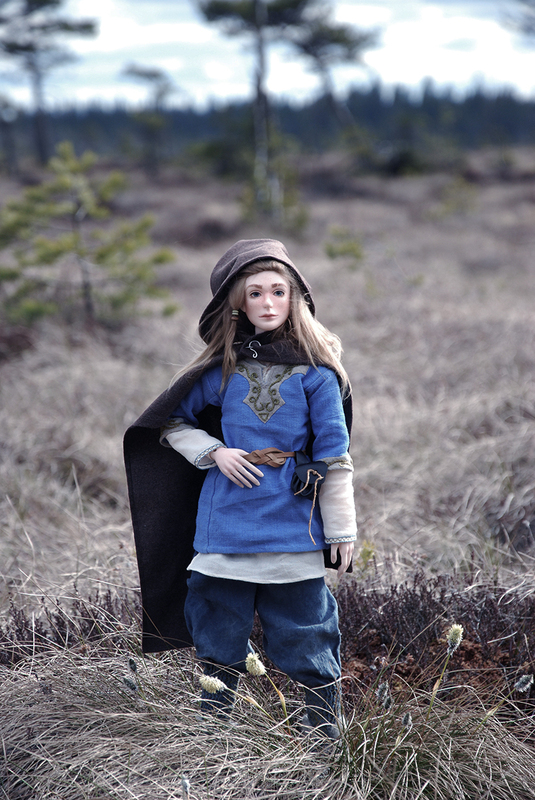 This entry was posted in Tribe News and tagged a. c. buchanan, ball-jointed dolls, bjds, drae box, geminick, j. c. hart, lexicon, new zealand, travel, tribe news, z. r. southcombe by Emma Lindhagen. Bookmark the permalink. ← Previous Previous post: Twice Fortnightly – Here, have a polar bear!